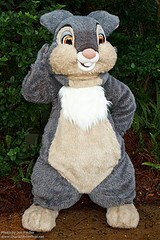 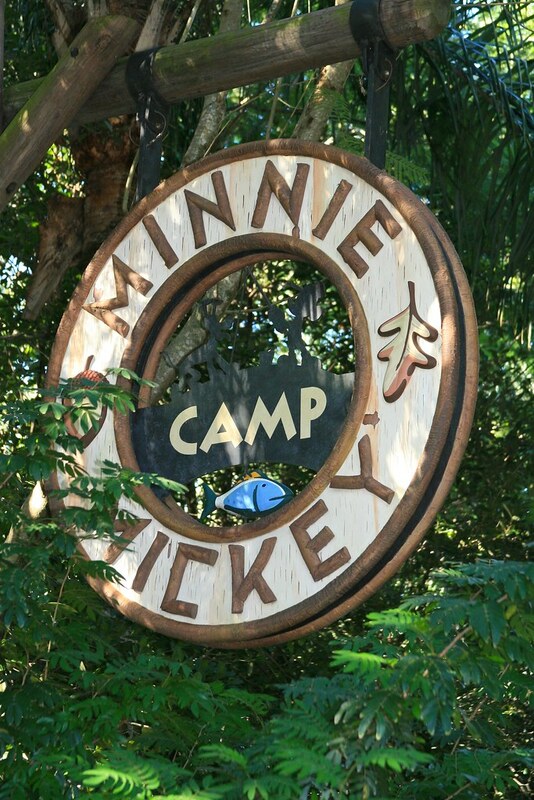 Camp Minnie-Mickey is the Character hot spot of Disney's Animal Kingdom! 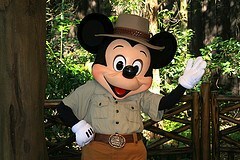 At the Greeting Trails you can normally always find Mickey, Minnie, Donald and Goofy. 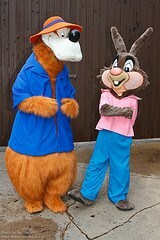 Occasionally Daisy has been known to make an appearance, but not very often. 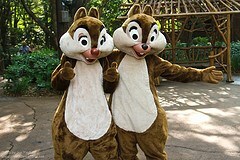 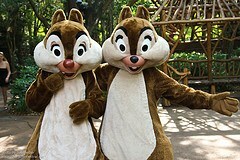 In random places around the land - usually near the trails or Festival of the Lion King - Chip, Dale, Koda and Kenai have been known to appear. 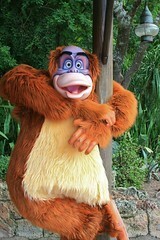 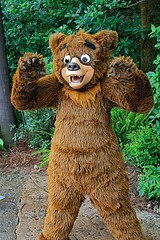 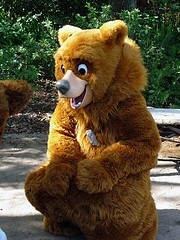 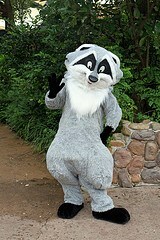 Guitar Dan, Camp Minnie-Mickey's resident comedic entertainer also hangs around outside the Greeting Trails frequently. 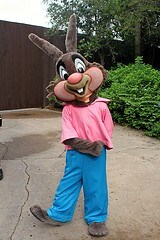 At the Good Times Gathering Spot (which is open seasonally at peak times), Thumper and Miss Bunny can appear, along with a whole host of other random friends. 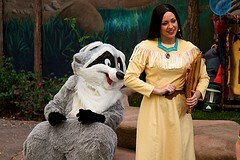 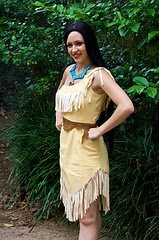 Usually these include any combination of Chip, Dale, Koda, Kenai, Pocahontas or Meeko. 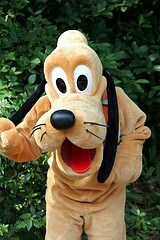 More recently a lot of these characters do not appear, or not all at once, sadly. 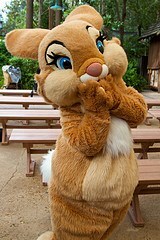 It is best to check on the day of your visit. Camp Minnie-Mickey closed forever on 6th January 2014 to make way for Avatar Land.